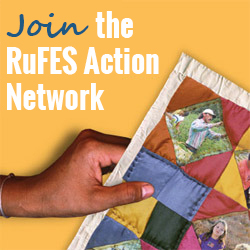 Members of the RuFES Action Network receive regular email Action Alerts on current and upcoming resources, opportunities and events. These Alerts relate to goals within the RuFES Framework – Earn It, Keep It, Grow It – aimed at helping low-income rural families get ahead. You can subscribe to receive Alerts HERE.